Elsewhere in the industry this week, Sony's PlayStation Network name change feature is finally live and takes an innovative "cursed monkey paw" approach to customer service, Steam users upset about Epic Games Store exclusives do their best to highlight the sort of problems that would drive developers away from Steam in the first place, and Activision Blizzard gives its employees gift cards in exchange for tracking their most intimate and personal details. Sometimes I don't even know where to begin. QUOTE | "People, influential people, journalists, and media outlets are making this confusing by continuing to use the language 'easy mode'—accessibility means options, not easy gameplay." - AbleGamers COO Steve Spohn joins a chorus of people in the industry weighing in on the accessibility discourse. QUOTE | "I'm a bit disappointed FromSoftware didn't go the whole hog and decline to compromise on their creative vision by translating the game, effectively creating an 'easy mode' for English-speakers. Couldn't they just have left the game in the original Japanese and told would-be players to 'git gud' enough to understand it?" - Our own Rob Fahey underscores the difference between difficulty and accessibility. QUOTE | "The world works with privilege. It works with access, with resources, where you're born, what languages you speak, the amount of money you have, what previous games you've made, the network you have... There are tons of factors that play into whether or not your game will be successful." - Vlambeer's Rami Ismail discounts the idea that gaming is a meritocracy where developers get the success (or lack of it) they deserve. STAT | 34.4% - The median gender wage gap at Rockstar Games, the largest gap between median pay for women and men employees we found for any reporting company in the UK games industry. Outfits with more equitable pay for their employees included GAME (0.3% gender wage gap), PlayNation (3.8%), and Namco UK (4%). QUOTE | "Part of the reason I moved away from consoles is that I grew up in China. It's my home country, but no one in China could play the games I created for the first six years of thatgamecompany." - In talking about his company's partnership with NetEase, Journey developer Jenova Chen explains why thatgamecompany's next game, Sky, is coming to mobile first. QUOTE | "Each time we introduced something, there was a bit of an outcry: 'You're prying into our lives.' But we slowly increased the sensitivity of stuff, and eventually people understood it's all voluntary, there's no gun to your head, and we're going to reward you if you choose to do it." - Activision Blizzard VP of global benefits Milt Ezzard explains how the company found a way around privacy concerns for its incentivized employee health monitoring program, which includes tracking of ovulation cycles, pregnancy, mental health, sleep habits, and diet, as well as autism and cancer care. QUOTE | "You may have permanent game issues as a result of the online ID change that cannot be fixed with a revert back to your old online ID." - Sony cautions users that its new PSN name change feature has some quirks. QUOTE | "We really don't have a clear idea as research scientists what games people are actually playing on a day-to-day basis... Microsoft and Sony all have that data, and game developers have that data, and it would be nice to even just get a snapshot of what people are doing." - Psychologist and author Dr. Pete Etchells discusses the challenges facing researchers looking into gaming disorder and addiction. QUOTE | "Ironically, that this misuse is possible and that Steam has no interest in correcting this misuse makes me kind of happy about 2K's decision and makes me want to reconsider Gearbox Publishing's current posture on the platform." 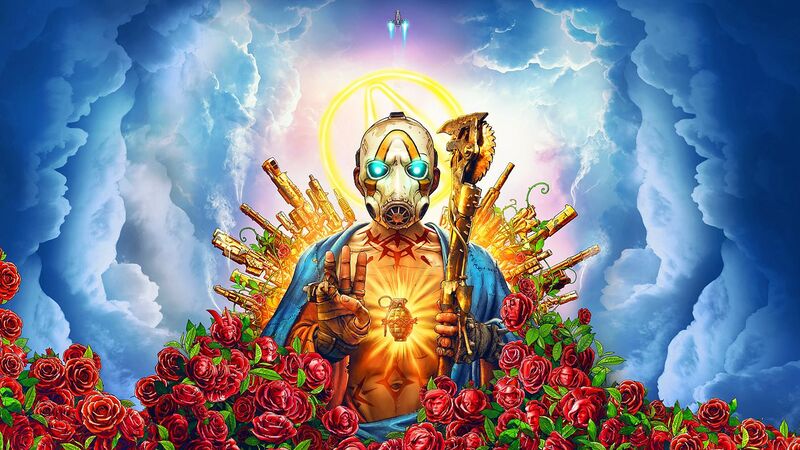 - Gearbox's Randy Pitchford reacts to people review-bombing Borderlands 2 on Steam because the PC version of Borderlands 3 will be a limited-time exclusive to the Epic Games store. QUOTE | "Murdering people is also illegal in every state and country around the world, but there's still a billion videos showing games that do that on YouTube so it's really less about what's legal and more about hypocrisy, I think." - PR pro Stephanie Tinsley Fitzwilliam vents about YouTube demonetizing videos about her client Devolver Digital's upcoming game Weedcraft Inc. YouTube's guidelines refuse to run ads for content featuring the use of illegal drugs. QUOTE | "There are graveyards full of dead game ideas, things that never got finished. If I can see an actual portfolio full of finished games, or even just prototypes, that puts you well ahead of any resumé." - Veteran designer Brenda Romero offers some advice for aspiring game developers. Tagged with Action Adventure,	Activision Blizzard,	Devolver Digital,	Epic Games,	Epic Games Store,	fromsoftware,	News,	PC,	PlayStation 4,	Rockstar Games,	Sony,	This Week in the Business.